Have you seen the A muse Lounge lately? It's already decorated for Halloween!! So for the latest challenge in the Lounge, a sketch challenge, I decided to make a Halloween card based on Julie's sketch here. I set out to make a scene with the spooky ingredients stamped on the windowsill of the classic window. I paper pieced the ingredients in different colours for some pop and cut them out individually. The scene begged for something else - so I cut out the window and added a bit of Boris peeking in at his concoctions. To ground the scene, I ran some vellum through my cuttlebug with the spiderweb folder. I like it, hope you do too!! I love this! Of course I love everything Halloween but this is so much fun!! Fabulous card Alanna!! Love this halloween card girl! 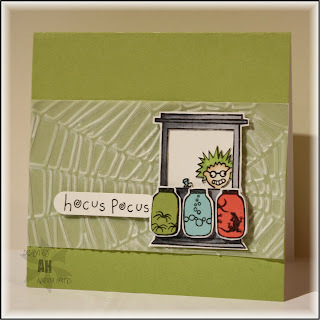 Great combo of stamps you used! this card is so fun! 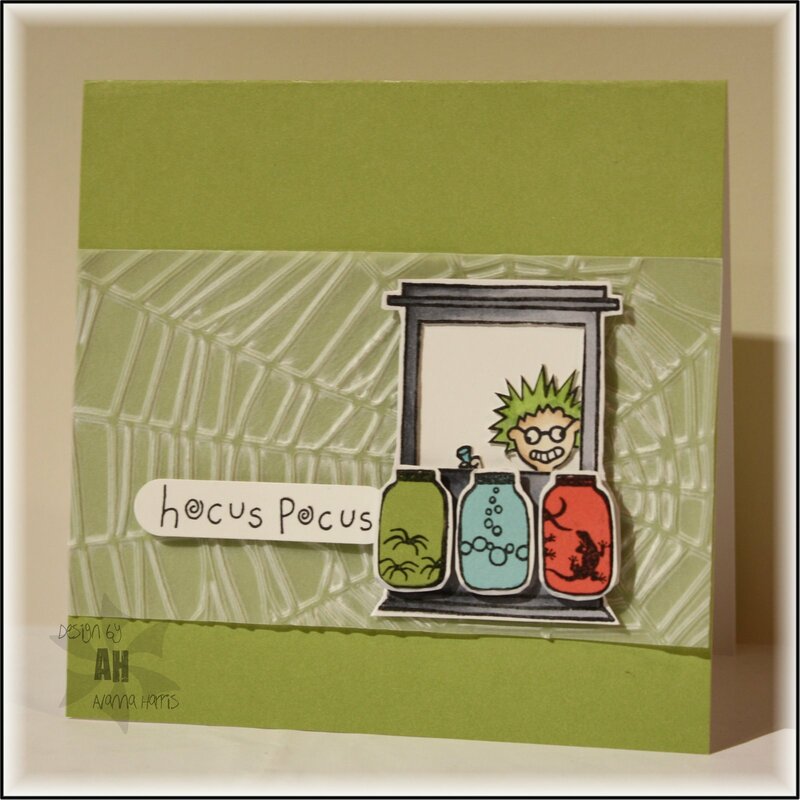 love the paper piecing, and the spider web is a perfect addition to the design.